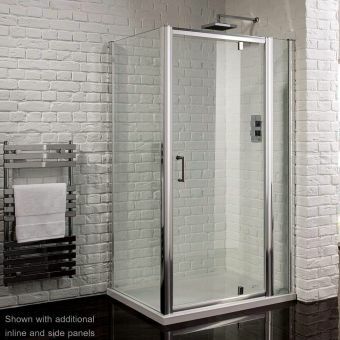 Pivot doors give a classic look and feel to the corner installation. 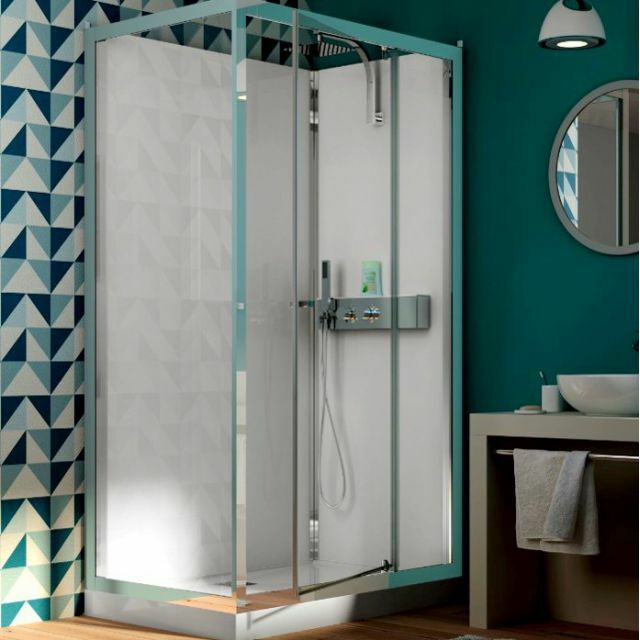 Manufactured from reinforced safety glass, the Kinedo Eden shower cubicles are a framed and detailed with chrome for a high quality, stylish finish. Letting in large amounts of light, these cubicles feel naturally spacious and are a joy to use each day. 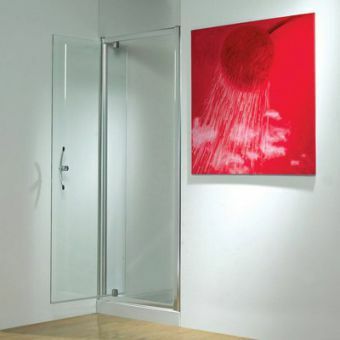 The Cristal Plus finish keeps the glass looking its best with a minimum amount of effort. 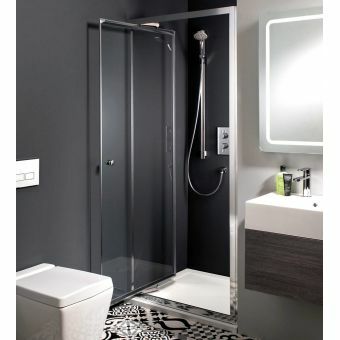 Ranging in size from 800mm by 800mm square shape, up to a more spacious 1200mm by 80mm rectangle, the Eden has been designed to be installed to the corner of the bathroom. 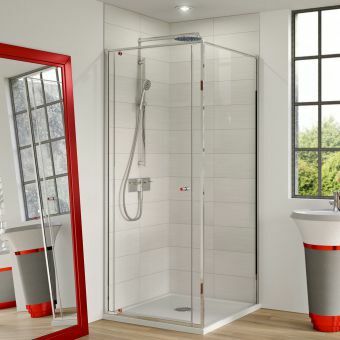 Compatible for left or right-hand entry, these versatile units offer a swift and easy installation with all essential components supplied. 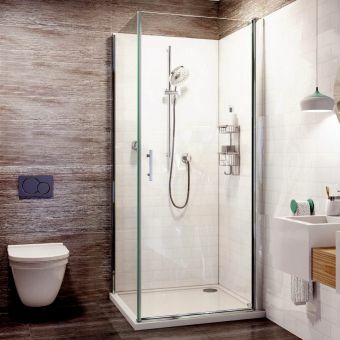 The shower outlets consist of an overhead drench shower rose, and a separate handheld set to give you additional rinsing options. 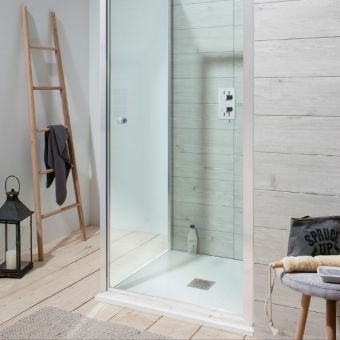 The exposed thermostatic valve not only looks thoroughly modern but incorporates the very best features of modern technology, included drip free valves and automatic cut-out safety features. 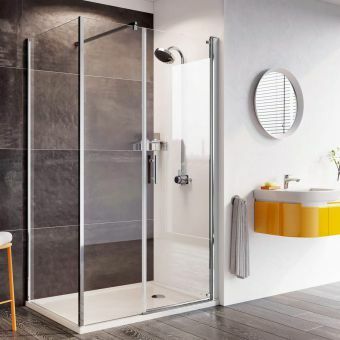 For anyone with a bathroom that requires the complete shower package, the Kinedo Eden shower suites have the answers you seek.